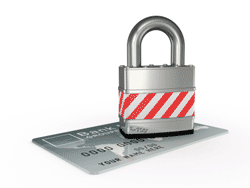 Get low-cost PCI scanning and certification for your business. PCI scanning and certification starts at $89.00 per year. Live, human, and US based support, to help you understand PCI-DSS, understand security concepts, reduce the scope of your PCI compliance, and ultimately get you compliant. You can contact live support as often as you need, or you can go through the process on your own. It's your choice! An online portal to help you understand, manage, and report on your compliance status. A walk-through of the process. You get as much or as little hand-holding as you need! Insights and information to make PCI and data security easier and more manageable! Reduce the complexity and scope of your compliance to what you need! Friendly and accessible support staff! Through our partner Control Scan, you get the best support and the best value for PCI-DSS compliance and scanning.